Water can have a fabulous effect and hydrotherapy is a great way to help dogs recover from injury or illness. Taking the weight off their bones, movement in water can help dogs build up their muscle mass and helps animals suffering from various injuries and conditions. 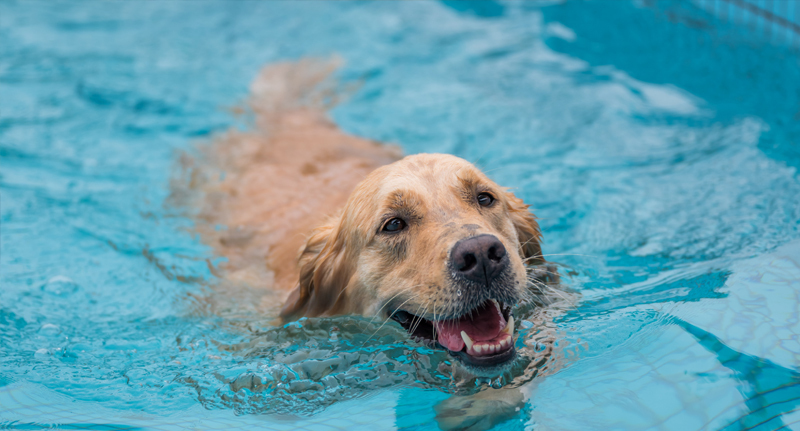 Understanding that Dog Hydrotherapy is a specialist service, Pet Business Insurance provides specific insurance for dog hydrotherapists and individuals working as animal physiotherapist across the UK. We understand the needs of hydro-therapists and physio-therapists. Our specifically designed Dog Hydrotherapist and Physiotherapist policy has been developed for you and your pet business and can be tailored to suit your own individual needs. Getting pet business insurance cover could not be easier. Either buy dog hydrotherapy insurance online or call our friendly office team of pet insurance experts on 01284 736 874 any time Monday to Friday during normal office hours.